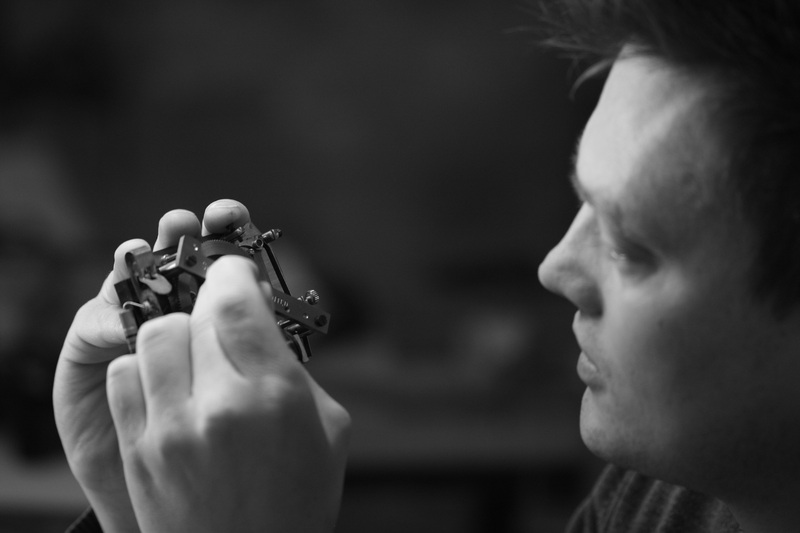 Johan is a second generation Dutch clockmaker, having grown up surrounded by the clocks his father was making and repairing in their family business. He was initially drawn to furniture-making and studied at Amsterdam’s Hout en Meubileringscollege (2003–2007). His study there, in the design and construction of furniture and objects, combined with experience in his father’s workshop, gave him the desire to create clocks as much about design and aesthetics as about timekeeping. From Amsterdam he moved to the UK and studied clock conservation and restoration at West Dean College (2007–2010). With the support of his tutor Matthew Read, and Jonathan Betts of the Royal Observatory, he broke new ground at West Dean by creating his masterpiece, a replica of a year-going pendulum clock made by Thomas Tompion for the observatory in 1676. Johan’s clock is now on permanent show in the observatory’s Octagon Room. You can read more about the clock here. This work was the subject of a documentary film by Rebecca Birch, screened at the Quare gallery in London in 2011. Moving to London in 2010, Johan has worked together with noted clockmaker and restorer Julius Schoonhoven at his workshop in south-west London. He also collaborated with James Nye in the design and establishment of The Clockworks, and is now its first conservator-in-residence. Dr Nye has been invo lved in clocks since the age of fourteen, when he was put in charge of a Gents master-clock system at his school in Sussex. This sparked an abiding interest in electric timekeeping. Following graduation from Balliol College, Oxford, James entered a career in finance and the energy sector. More recently, he completed a PhD in financial history at King’s College, London, where he holds a visiting fellowship in the Institute of Contemporary British History. His thesis included case studies of Victorian and Edwardian electric clock companies. Throughout his career, James has assembled a wide-ranging collection of electric time artefacts enjoyed by many visiting specialists and enthusiasts over the last twenty years. 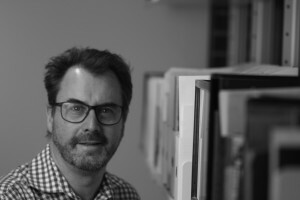 A continuing theme in his ongoing research is the emergence of distributed accurate timekeeping from the late nineteenth century onwards, a field in which he collaborates with David Rooney of the Science Museum, having published two joint papers together. 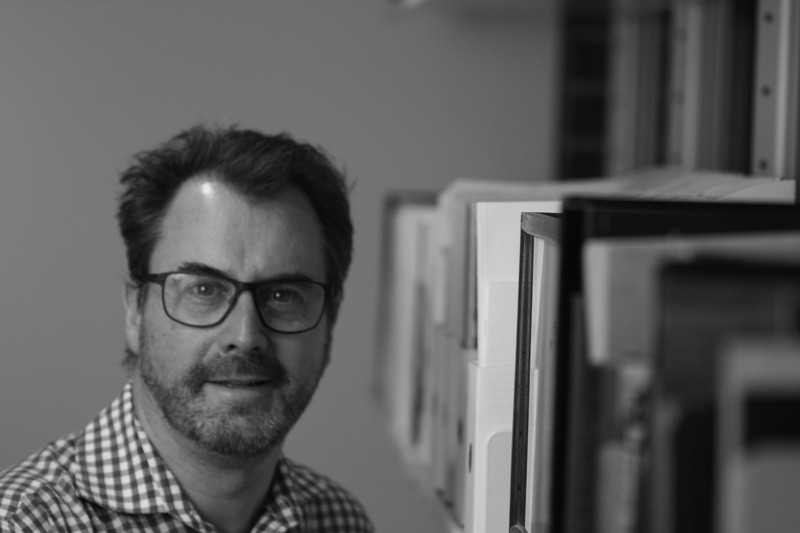 James is chairman of the council of the AHS, and sits on the editorial advisory panel for Antiquarian Horology. He is a long-standing member of the BHI, a Life Member of the NAWCC, belongs to the Deutsche Gesellschaft fur Chronometrie as well as Chronometrophilia, and is also a liveryman and member of the court of the Worshipful Company of Clockmakers. James Nye and David Rooney, ‘“Such Great Inventors as the Late Mr. Lund”: an Introduction to the Standard Time Company, 1870–1970’, Antiquarian Horology (December 2007), 30, 501–523. Alan Shenton Memorial Prize from the Antiquarian Horological Society, 2008. David Rooney and James Nye, ‘“Greenwich Observatory Time for the Public Benefit”: Standard Time and Victorian Networks of Regulation’, British Journal for the History of Science, 42(1): 5–30, March 2009. IEEE Life Members’ Prize in Electrical History from the Society for the History of Technology, 2009. Click here to read more. AHS London Lecture Series, Royal Astronomical Society, July 2012: ‘A Good Time in Berlin – The remarkable clocks of Normal-Zeit’. AHS Northern Section, July 2012: ‘Synchronome – a look behind the scenes’. BHI West Country Section, September 2011: ‘The Importance of Being on Time: an exploration of new technologies in the transmission of information at a distance: 1850–1950’. Electrical Timekeeping Group, AHS: March 2011: ‘Submarines and the Submergence of Synchronome: the wartime operations of the Synchronome Company and their impact on the business’.